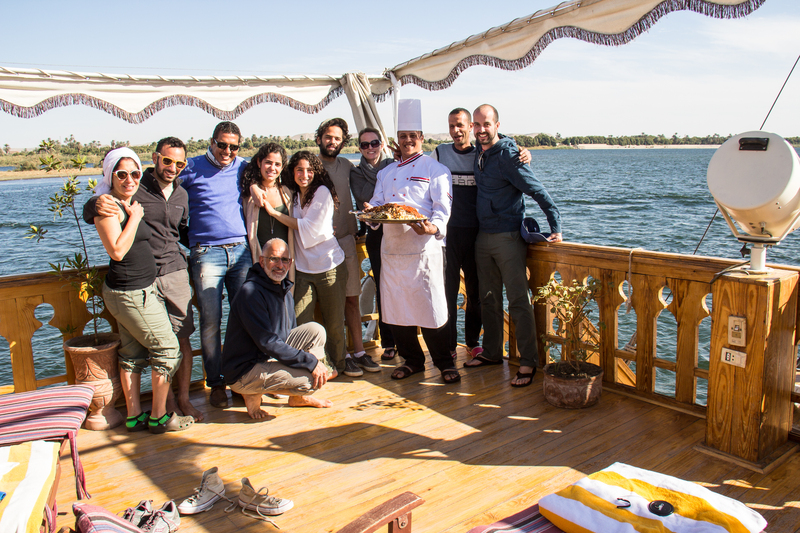 Some of the crew, guide, chef and fellow passengers. The family who we shared the boat with was amazing and made for a great travel group. The chef is holding a big plate of koshari. He was an incredible chef that made some amazing meals.